Girl is NOT a 4 Letter Word: The OG Jam Series Is Looking For Female Skaters 25+ - So Grab Your GF's! The OG Jam Series Is Looking For Female Skaters 25+ - So Grab Your GF's! 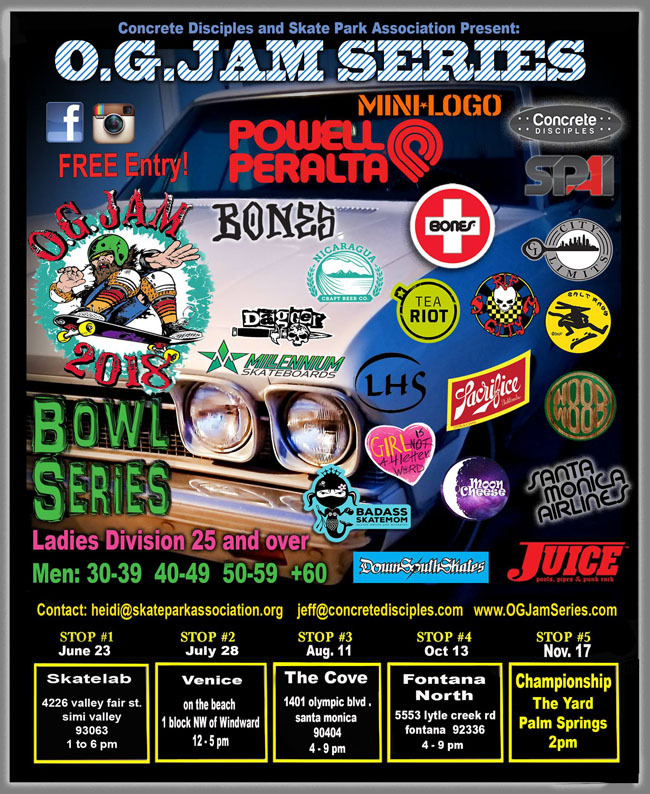 It's that time of year - the OG Jam Series is kicking into gear, and this year there is a big emphasis on getting women 25+ to get out and skate the series! You don't have to be super experienced and you don't have to skate all of them - pick the ones you want to do most. Yes, it's a contest, but with a twist - everyone just wants you to do your personal best, hang with like-minded skaters and have FUN. There are prizes at each stop, and there is NO entry fee! This is a free contest to compete in. It's a super fun time, so please grab your GF's friends and come on out! So please tell all your female friends who skate - we want to see you out there! Girl is NOT a 4 Letter Word will be reporting on each event with photos of the women skating and a recap. Here is a bit of last years fun with the ladies division. The first OG Jam Series stop is Skatelab on June 23 from 1 PM - 6 PM - hope to see you there! !